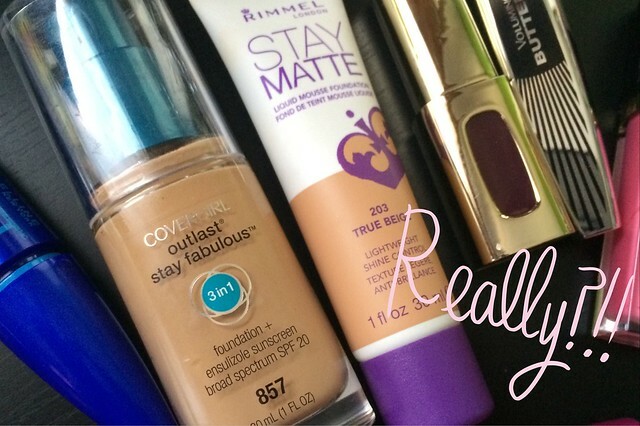 I was recently at Walgreens shopping for foundation when a helpful sales associate shed some light on the most helpful makeup purchasing tip ever . Let me just preface this by saying, for me, drugstore foundation is a tricky thing to match. It’s something I typically avoid purchasing because I have yet to buy the right shade and I’ve always thought that drugstore cosmetics are non-returnable. But drumroll, please, I’m happy to share that I stand corrected! Walgreens accepts cosmetics returns! If you are not satisfied with the product within 30 days, hit up the store with your receipt. Woo hoo! This will change my life when it comes to drugstore makeup shopping. I think that once I’ve matched myself and I’m ready for a repurchase, I would shop around for a better deal. Upon a bit more research, I’ve learned that Rite-Aid and CVS also have a similar return policy for cosmetics, but Target and Ulta do not. I’ve read some online discussions where managers have declined products, so just to be sure, I’d verify with your local store for specifics.